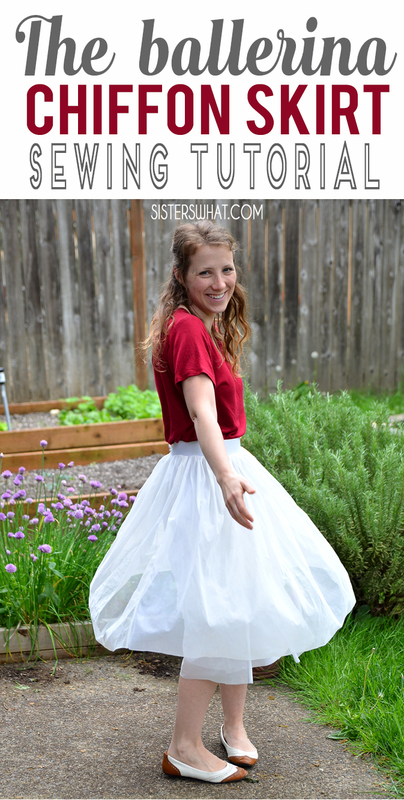 ' The Ballerina Skirt Tutorial - Sisters, What! 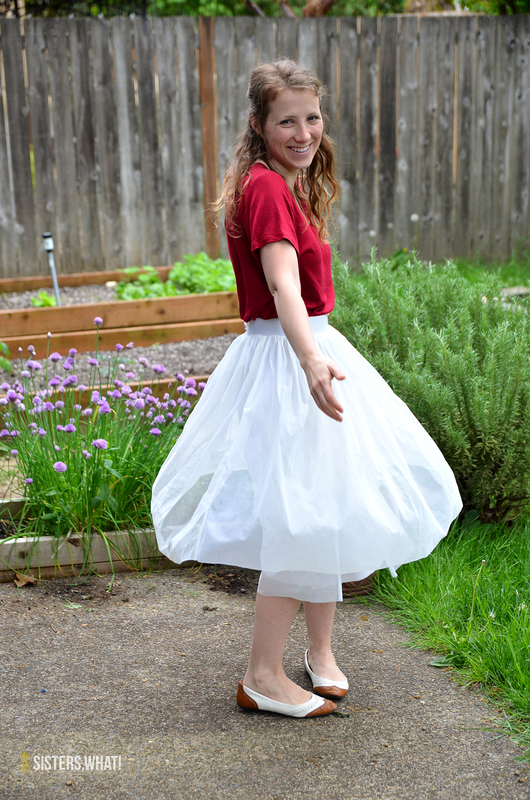 This ballerina skirt is SO easy to make using wide elastic for the waste band for an easy sew. It's very comfortable and makes the perfect dance skirt or everyday +skirt. 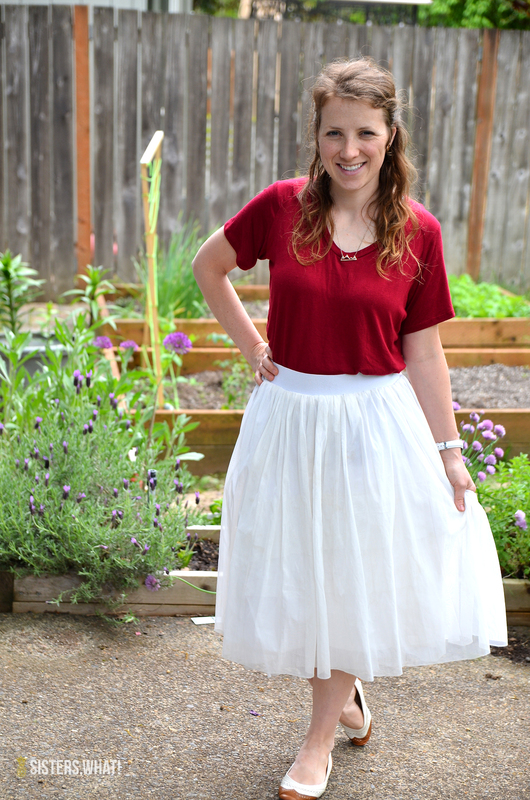 Ok here it is finally, the Ballerina Skirt tutorial! In case you missed the previous post about the skirt (here). This skirt is made out of curtains and a left over white knit shirt. 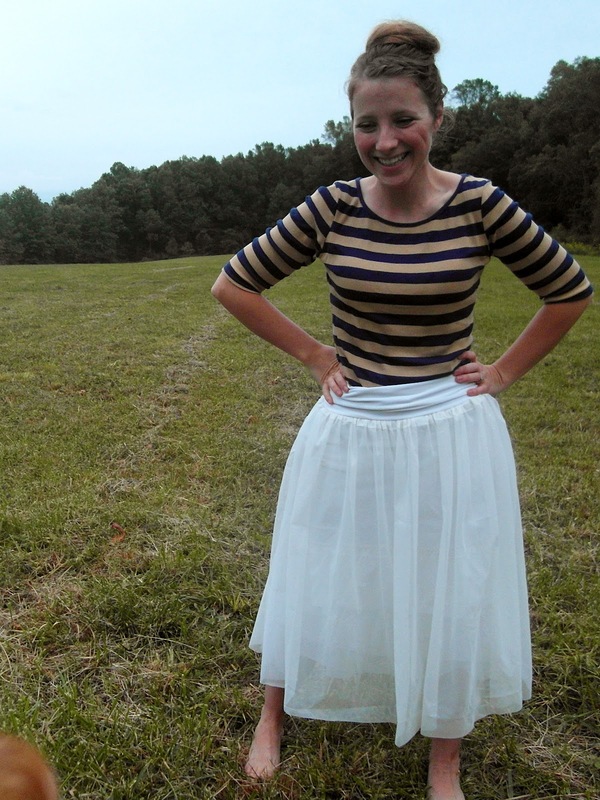 Seriously, it was such an easy skirt to make and it is SUPER comfortable. These pictures are from recently (May - 2018) I still wear it and love it so much! I love it when I make something and it last for a few years. It's the best. - a large white knit shirt or a yard of knit fabric. 3. Now your going to cut strips of sheer - around 80 - 110 inches (they are going to be turned into a ruffle Then sew a base stitch (the longest stitch length) on each strip and gather until it is the same width as the tube of the knit skirt. 4. After gathering your strips, pin onto the knit and sew it into place. Start at the bottom of the skirt and work your way up. 6. 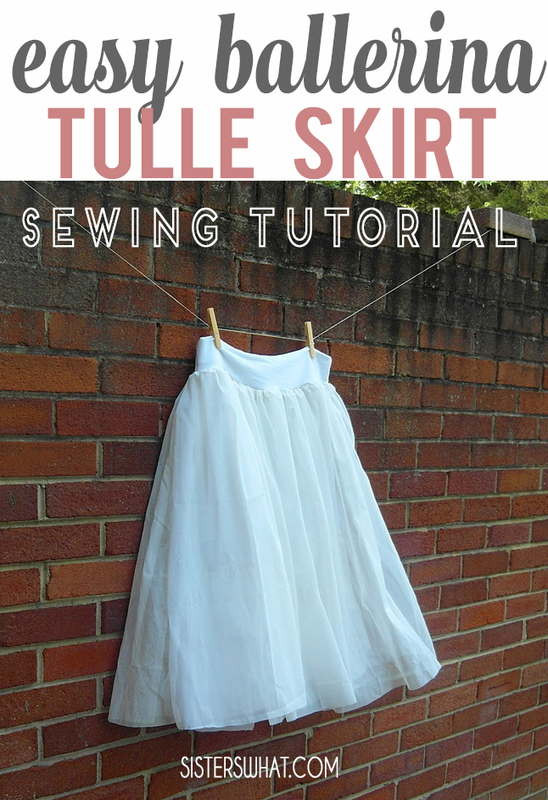 Pin the sheer skirt to the top of the knit and sew the two layers together. And there you have it - a ballerina skirt for you! 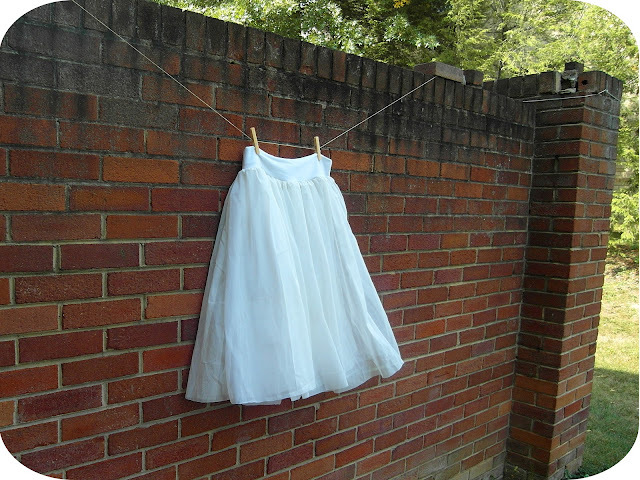 The great thing about this skirt, is that you can change the measurements to make it for you or for a little person. So pretty! I pinned this for later! Oh I love this so much!!! Very beautiful! What a darling skirt! Looks on you! wonderful!!! the skirt is a beauty. great tutorial, great idea! Thanks so much for the tutorial. I have a beautiful black mesh with sequins that I purchased to make a skirt for a wedding. I am going to follow your tutorial to create my skirt. I was looking for exactly that ... a ballet skirt ... and this will be awesome!